The direct appeals of the Missouri Public Service Commission’s decisions in The Empire District Electric Company’s 2006 rate case were concluded with the Missouri Supreme Court’s denial of a transfer request on January 25, 2011. Two additional lawsuits, however, had been filed against Empire seeking refunds related to the Commission’s decisions in Empire’s 2006 rate case. Brydon, Swearengen & England is pleased to report that, with the Missouri Supreme Court’s denial of a transfer request on October 1, 2013, all litigation stemming from Empire’s 2006 rate case is final and complete. During this almost seven year process, decisions were issued in favor of the Commission and Empire by the Cole County Circuit Court, the Jasper County Circuit Court, the Western District Court of Appeals, and the Southern District Court of Appeals. Empire was represented in the circuit court and appellate proceedings by BS&E shareholder Diana Carter. Ms. Carter graduated from the University of Missouri-Columbia School of Law in 1998. She represents public utilities, private individuals, small businesses, and various municipalities through a representation agreement with the Missouri Public Entity Risk Management Fund. 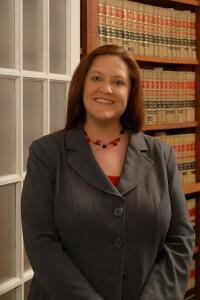 Ms. Carter has represented clients before the Employment Security Division, the Administrative Hearing Commission, the Missouri Public Service Commission, the United States Bankruptcy Court, the United States District Courts for the Western and Eastern Districts of Missouri, the Eighth Circuit Court of Appeals, numerous mid-Missouri Circuit Courts, the Western District Court of Appeals, the Southern District Court of Appeals, and the Missouri Supreme Court. Based in Joplin, Missouri, Empire (NYSE: EDE) is an investor-owned, regulated utility providing electric, natural gas (through a subsidiary), and water service. Empire serves approximately 216,000 customers in Missouri, Kansas, Oklahoma, and Arkansas.